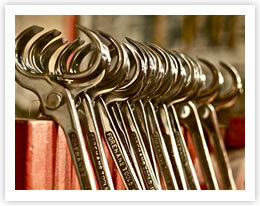 Welcome to Foremans Tools UK , Nigels unique expanding range of Handmade & Handfinished tools for Farriers. Note: Please make sure when ordering that you click and order through the correct world-zone thank you. You can order multiple products using this shop, if you would like to order more than two of any individual product however, please click here to email your order. 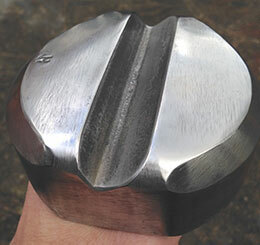 £120.00 + postage, Drop forged in the UK from Nigels own handmade design , Handfinished. 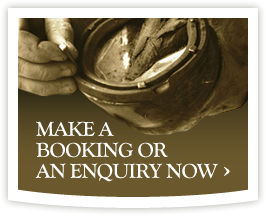 Effortless horse-shoe removal & also double as hoof-testers.Popular with both Farriers and Vets. 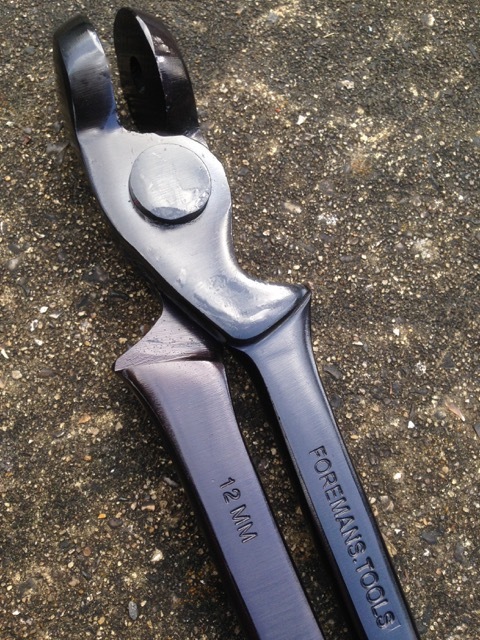 £170.00 + vat and postage Handmade/Forged by Nigel these blocksare the most effective today for the art of Tool & Fullering.Each block has a Hunter heel swage and forged five inch tang and is case hardened to 65 Rockwell. 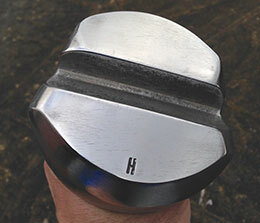 £170.00 + vat and postage Handmade/Forged by Nigel these blocks are the most effective today for the art of Tool & Fullering.Each block has a hunter heel swage and forged five inch tang and is case hardened to 65 Rockwell. 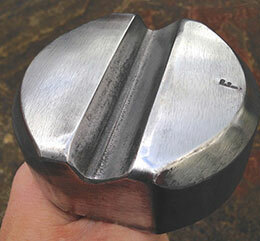 £170.00 + vat and postage The Hind Angled Hunter Tooling block can be used for the crisp finishing angle set in front of hunter Calkins when making a tool & fullered Calkin & Wedge and of course can be used as a normal hind tooling block and fully case hardened to 65 rockwell with a 5 inch Tang. £250.00 + postage The new Silverback chaps , most comfortable and ergonomic Farriers Chaps on the market,with innovative abdominal sling,dorsal support and Bi-lateral fastening system.In Nigels opinion the best Chaps in the world.Changing the Farriers working day forever. 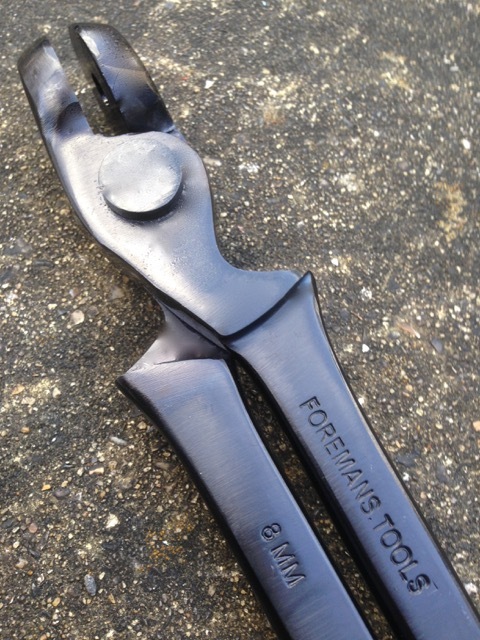 £45.00 + vat and postage Designed and drop Forged from Nigels own Handmade Tong pattern. 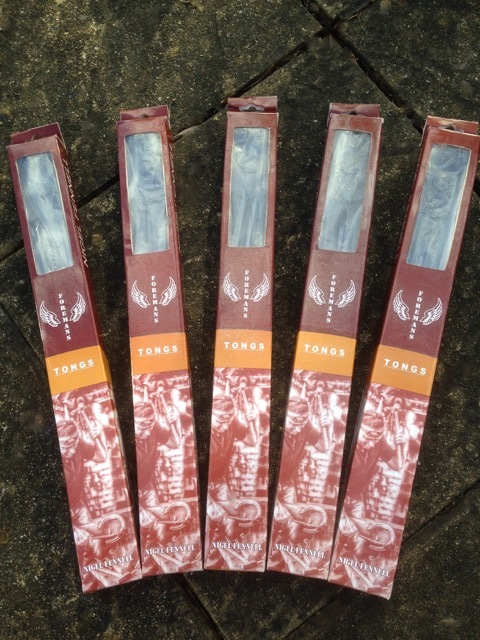 These tongs have smooth Hand friendly 10mm reins with superb jaw grip. 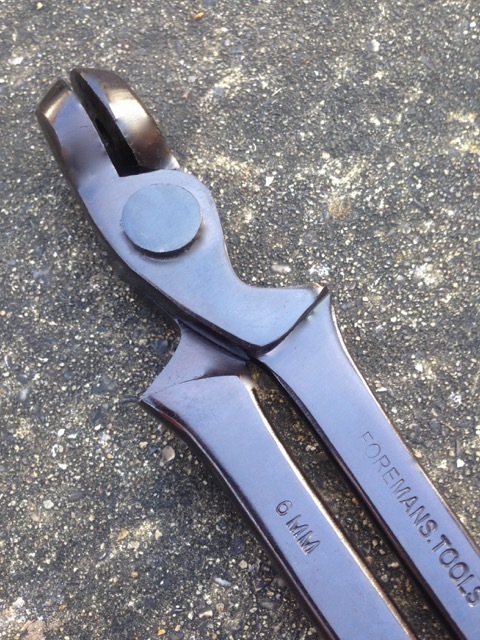 £45.00 + vat and postage Designed and drop Forged from Nigels own Handmade Tong pattern. 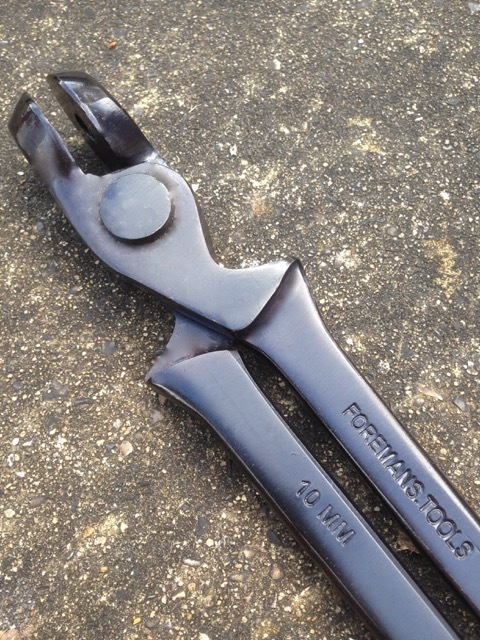 These tongs have smooth Hand friendly 10mm reins with superb jaw grip and these tongs are designed to hold 5/8 square when forging for different disciplines.